I am back from a fantastic week long cruise in Fabulous Alaska! I will be busy making layouts of the trip to put in my terribly overpriced but oh so nice scrapbook album I bought on the cruise ship. I can take days to put together a scrapbook layout that I like, though, so I thought I would just post a quick card today. 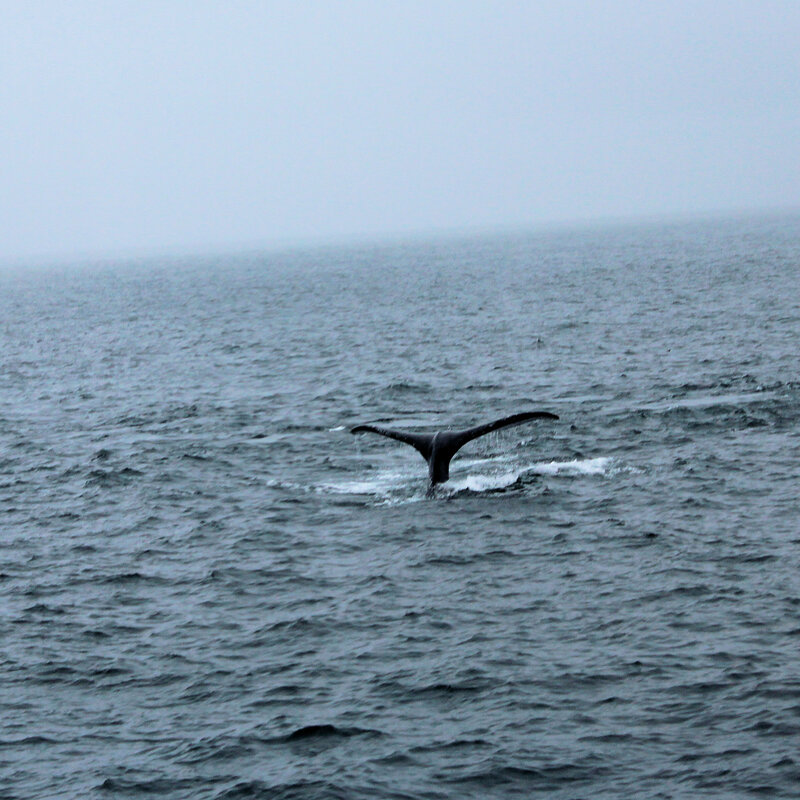 On my cruise, we saw lots of Humpback Whales, which was amazing! 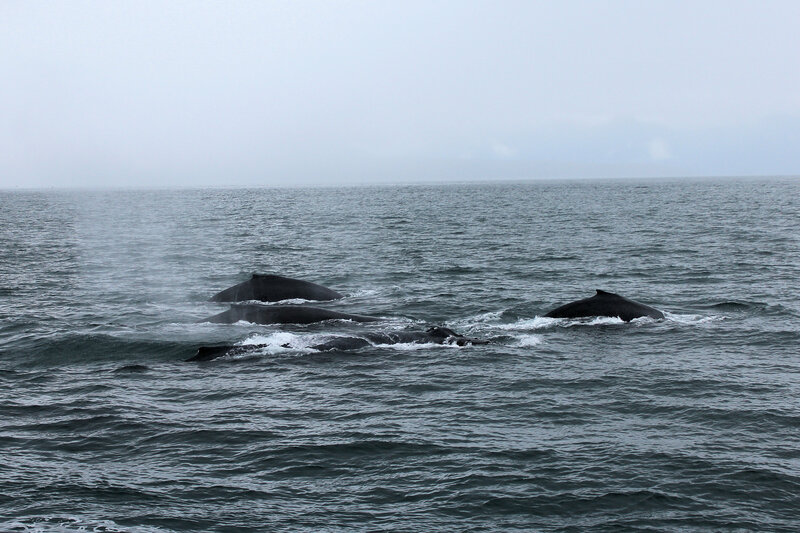 I was even more amazed to find out that the whales, while in Alaska must eat 22 hours a day to get enough fat stored to survive their journey to and time spent in Hawaii. Well never one to turn down a challenge………………………..I chose to eat about 23 hours a day on the cruise ship. Sadly, I could live on the fat I stored for the rest of my life. You have heard about “swimming with the Dolphins” while in the Bahamas, well I signed up to swim all the way to Maui with the Humpback Whales. It is the only way, I am going to lose the weight I gained on this cruise. Humpback Whales have these “kinda Hippie looking macrame curtains” that hang down around their gigantic mouths to filter out things they shouldn’t eat (that is why I am not afraid to swim to Hawaii with them 🙂 ). Well, no such filter on my mouth, so about fifteen forbidden Creme Brulees made their way right on down to my hips and stayed there. I made a card to enter into the Impression Obsession Card Challenge. It appears though, that while I remembered how to eat on holidays, I did forget how to read. I failed to read the instructions that clearly indicated that all stamps and dies have to be from Impression Obsession (except for mats). Because my card has three stamps not from Impression Obsession, it would not make it past the “Hippie Macrame Curtain” challenge filter. I will post it here anyway, and see if I can make a qualified one for the challenge a little later. You can see my attention to detail in this card. You will note that one flip flop has a strap that has pulled right out of the sole. I did this to emphasize that summer is now over and we are heading into fall. It is not very realistic though as my flips usually flop mid July and don’t make it till the end of the season! 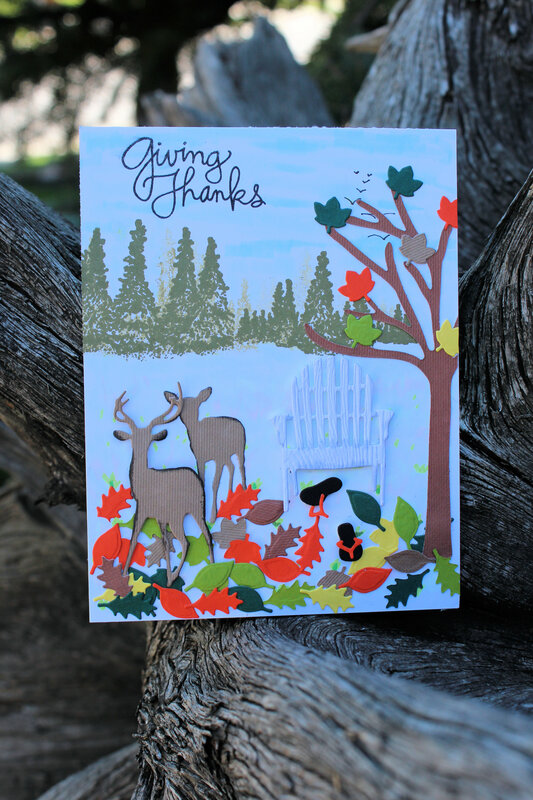 Supplies: Impression Obsession Deer (DIE080-N) and Adirondack Chair (DIE190-C), Elizabeth Crafts die All Season’s Tree, River City Rubber Works Spruce Trees, Recollections Cardstock, Hero Arts card base, Simon Says Stamp Giving Thanks Stamp Set, Copic Markers, Neenah Solar white cardstock, Versafine Onyx Black Ink and Scor tape. Posted on August 17, 2015, in Oscar's (Deb's) Card Samples and tagged Impression Obsession. Bookmark the permalink. 1 Comment. Anxious to see more cruise posts.